Calling all filmmakers! Submit your film for HIFF39 today! Join us on April 11th for a FREE screening of FREE SOLO at Courtyard Cinema in Ward Village! PROGRAM IS NOW LIVE! | TICKETS ON SALE MARCH 22ND! HIFF Spring Showcase Passes on Sale NOW! Want to get involved with HIFF? Apply to join our HIFF Volunteer Ohana today! 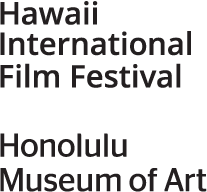 There are many ways to support the Hawaii International Film Festival. Check out these links for information about donating to the Festival, becoming a sponsor, and volunteering. Come join the fun and Volunteer for the Festival! View Schedule Here! Tickets on Sale March 22nd. HIFF is proud to partner with these organizations to showcase emerging films from Asia and the Pacific, as well as top festival films from around the world.